ANCIENT EGYP T Nile R.
hat do you think of when you hear the word technology? You probably think of state-of-the-art gadgets. You might think of computers, mp3 players, and the latest scientific tools. But technology doesn’t mean just brand-new machines and discoveries. Technology is as old as human civilization. Technology is the use of knowledge, inventions, and discoveries to make life better. The word technology comes from two Greek words. One, techne, means “art” or “craft.” The other, logos, means “word” or “speech.” The ancient Greeks used the word technology to mean a discussion of arts and crafts. In modern times, technology refers to a craft, a technique, or a tool itself. People use many kinds of technology. Medicine is one kind of technology. Construction and agriculture are also kinds of technologies. These technologies and many others make life easier, safer, and happier. This book looks at a form of technology used in almost every area of daily life and every field of science. That technology is computing. W h at I s C o m p u ting ? When people hear the word computing, they usually think about using computers. But computing has another meaning. Computing involves using numbers to count, gather information, and solve problems. Computing also involves manipulating numbers by adding, subtracting, multiplying, and dividing them. Computing can be as simple as 1 + 1 = 2, or it can require the help of advanced calculators or computers. Computing involves mathematics—the science of numbers. Math has many branches and many practical applications. It is used in almost every area of science,  A boy completes a simple arithmetic problem medicine, business, on a chalkboard. For thousands of years, people have crunched numbers to make sense of the world. construction, and manufacturing.  Over time, computer scientists were able to build advanced computing technology into devices that fit in a person’s hand. An c i e nt R o ots Computing probably began shortly after the first humans appeared on Earth. Early peoples performed mathematics by counting on their fingers and toes. They kept track of numbers by cutting notches into sticks and tying knots in ropes. This first computing technology was simple, yet it was effective, easy to learn, and accurate. Ancient peoples discovered some computing methods by trial and error. Sometimes people copied and improved on computing technology used in other parts of the world. The ancient Greeks, for instance, learned about geometry from the Egyptians and the Babylonians. The Romans learned from the Greeks. Each civilization added improvements. Gradually, computing knowledge spread throughout the world. Mathematics became a universal language.  An ancient Egyptian ruler from between 700 and 330 B.C. is marked with notches and number symbols. Archaeologists are scientists who study the remains of past cultures. They learn about ancient computing knowledge through writings and carvings the ancients left behind. For example, the Rhind Papyrus, an ancient Egyptian text, was found in the 1850s. It was like a textbook, containing more than eighty mathematical problems. From these problems, modern archaeologists saw how ancient Egyptian students learned arithmetic and geometry around 1650 b.c. Ancient tools and monuments can give clues about computing knowledge too. Greek water clocks showed how precisely the Greeks could tell time. In Central America, dates inscribed on stone monuments give insight to the calendar systems of the Mayan culture. Clues like these tell scientists how ancient peoples counted, measured, or calculated. our day into twenty-four hours, just as the ancient Egyptians did. Our number symbols were created in ancient India. We sometimes use Roman numerals, developed in Rome more than two thousand years ago. Ancient people used math for fun too. They developed number games, tricks, and puzzles. Read on and discover many wonders about the computing knowledge we inherited from people who lived long ago.  This cave painting from prehistoric Mexico was painted in around 7500 B.C. The human figures are shown with hands and fingers raised. Early peoples probably used fingers and toes to keep track of quantities. on Earth, the hunter-gatherer lifestyle remained unchanged until only a few centuries ago. Early hunters and gatherers probably knew the importance of quantities, or amounts. They knew that two antelopes meant more food than one. A pack of wolves was more dangerous than a lone wolf. A bunch of berries was more valuable than one berry. But did early huntergatherers understand the ideas behind numbers? F ing e r S ymb o l s a n d Sti c k s We can only guess about when humans developed basic systems for counting. They probably used fingers to represent numbers, just as young children do when they learn to count. One finger was probably the universal symbol for 1, two fingers for 2, and three for 3. For hunter-gatherers, four extended fingers might have stood for four woolly mammoths hiding just out of sight.  When children first learn how to add and subtract, they often count on their fingers. It’s no surprise that our modern numbering system is based on 10—the number of human fingers. In fact, the word digit, meaning a single numeral, also refers to a finger or toe. 20,000 b.c., was a tally stick. But others believe its grouped notches stand for a pattern of some sort—possibly a calendar of the moon’s phases. M e a s u r ing wit h B o d y Pa r ts In addition to counting on fingers, ancient peoples also measured with the human body. They used their feet to measure distances. For thousands of years, the foot—equal to 12 inches (30 centimeters) in modern times—was not a fixed length. It varied by as much as several inches, depending on the size of the human foot doing the measurement. One of the most widely used ancient units of measurement was the cubit. It was the distance from a man’s elbow to the end of his middle finger. At first, one inch was the width of a man’s thumb. Later, one inch meant the length of an index finger from the tip to the first joint. The hand was the width of a man’s hand—about 4 inches (10 cm). People still use hands to measure horses.  These examples of Egyptian cubit rods of basalt (volcanic rock) and wood date from between 1600 and 250 B.C. The Egyptian cubit was divided into seven “palms” of four “digits,” making twenty-eight parts in all. A cubit measured around 20.6 inches (52.3 centimeters) in length. ome ancient peoples used counting skills to play games. In the African countries of Eritrea and Ethiopia, scientists have found evidence of mancala games from the a.d. 500s or 600s. A common version of these games uses two rows of six holes, or cups. Two larger holes sit at the ends. Players place stones, beans, or other small counters in the holes one by one. They follow certain rules to capture the counters. The player to capture the most counters wins. Skilled players use counting and calculating to determine their best move. Versions of these games are still played around the world. They are known by many different names, including wari and ayo.  The counting game of ayo (a version of mancala) is still popular among players in Nigeria. Body-part measurements were not uniform. They varied a lot from person to person. But they did offer a big benefit—ancient people always had a ruler handy. In fact, some body-part measurements are still in use. In Southeast Asia, traditional Malay people use fingernails, handfuls, and the distance around a person’s forearm as units of measurement. Surveying uses math to measure distances, angles, and contours (curves) of land. With surveying techniques, people could determine areas and borders of farmers’ plots of land. Ancient mapmakers could accurately show rivers, hills, and other land features on maps. Surveying was also important in construction. It helped ancient engineers design straight roads, buildings, and bridges. Writings and other artifacts from the Sumerians show that people in the ancient Middle East measured land boundaries as early as 1400 b.c. The Sumerians also used careful measurement and surveying techniques to create building plans for their cities. T h e F i r st M a p s Maps show the distances between cities, roads, and land features such as mountains and rivers. Mapmaking requires very precise measurement. Mapmakers must draw to scale, meaning distances on maps are in proportion to distances in the real world. For instance, 1 inch (2.5 cm) on a map may equal 10 miles (16 kilometers) on land. The ancient Babylonians drew the first  This Babylonian map of the world, known maps in about 2300 b.c. They carved carved in a clay tablet in around 600 B.C., is on view at the British Museum them in wet clay to make clay tablets. in London, England. Many of these maps were legal records of landownership. They showed the size of farmers’ fields. Other maps were guides for people on long journeys. One Babylonian map, drawn around 600 b.c., showed the entire world—or at least what the Babylonians thought was the entire world. It showed the city of Babylon in the center, the Persian Gulf off to one side, and a few other countries, such as modern-day Armenia. All the land was surrounded by a huge ocean. T h e F i r st S a l e s p e o p l e Farmers in the ancient Middle East were perhaps the world’s first salespeople. Mesopotamia contained excellent farmland. Farmers produced more food than they needed. So they were able to sell the surplus. Babylon was a commercial center. At markets, merchants traded grain, dried fish, cloth, brick, and gold with people from many other cities. To charge and pay the same amount for identical amounts of goods, merchants needed standard units of money, length, and weight. The cubit, the distance from a man’s elbow to the tip of his middle finger, was a widely used unit of length in the ancient world. The Mesopotamians divided the cubit into smaller units. One cubit contained two feet. One foot contained three hands—the distance across a man’s hand from index finger to little finger. A “finger’s width” was equal to about 1 inch (2.5 cm). C o m p u ting W e ig h t Archaeologists are not sure whether the first scale was invented in ancient Babylonia or in ancient Egypt. Both civilizations used scales, perhaps as early as 5000 b.c. Ancient scales were beam scales. They were made from a stick or a rod balanced upon a center support. A pan hung from each end of the beam. When an object in one pan (a piece of gold, perhaps) was heavier than an object in the other, one pan hung lower. When the objects were equal in weight, the pans balanced.  A funeral stone from a Hittite tomb in northern Syria depicts a merchant carrying a pair of beam scales. The stone was carved in the 800s B.C.  This smooth set of standard weights was used in beam scales in Ur (modern-day southern Iraq) in 1900–1600 B.C. The weights are made from a stone called hematite. The first beam scales simply compared the weight of two different objects. They didn’t measure an object’s weight based on standard units. The Babylonians eventually developed the world’s first weight standards—units of measurement that were the same from place to place. The Babylonian standards were smooth stones. They were ground and polished to make sure each weighed the same. Merchants placed one or more stones on one pan of a beam scale. They placed objects to be bought or sold in the other. They might have weighed out two stones’ worth of grain, for example. With standardized weights, business transactions were made more accurate. The beam scales used in Babylon may seem primitive. But scientists and others still use similar scales. shadow on the dial. As the Sun moved across the sky, the shadow moved across lines on the dial. Each line stood for a certain time of day. Around 300 b.c., a Babylonian astronomer named Berosus made a sundial with a curved base. It looked sort of like a bowl. The gnomon stood in the center of the bowl. Lines on the base of the bowl divided the day into twelve equal parts. These were the first hours. Berosus’s clock was so good that others like it were used for more than a thousand years. Our modern system of twenty-fourhour days, with twelve hours in the morning and twelve hours in the afternoon and evening, began with Berosus’s system.  A clay tablet from the Sumerian city of Ur records numbers of laborers in 2000 B.C. he Babylonians were advanced in developing their place-value system. They were also pioneers in using a symbol to stand for zero: 0. A dot stood for 0 in their numbering system. However, they used 0 merely as a placeholder in numbers and not as a number itself. It would be as if we used 0 to show the difference between 44 and 404, but never used 0 on its own. some of the world’s earliest known number symbols. Some tablets are nearly five thousand years old. The Mesopotamian numbering system was based on 60. Symbols on the tablets stood for 1 through 59. The symbol for 1 also stood for 60 or 3,600 (60  60), depending on its place in a number. Sound confusing? It’s not really. In the same way, we can use a 1 to stand for 100, as in the number 156. This kind of number system is called a place-value system. Lunar Eclipses During an eclipse of the Moon, Earth passes between the Sun and the Moon. Earth’s shadow darkens the Moon. To ancient peoples, eclipses were mysterious and frightening. Babylonian astronomers wanted to know when eclipses would occur. They watched the Sun and other bright objects move through the sky.  Ancient Babylonian astronomers recorded their observations of the night sky on this clay tablet from 500 B.C. For centuries the astronomers recorded the dates of eclipses and the movements of heavenly bodies. They used a calendar based on the phases of the Moon. Ancient scientists did not understand why eclipses occurred. But they learned when to expect them—every 223 months (by our modern calendar). Their work was the start of what we call mathematical astronomy. A Fa m o u s N u mb e r One of the most useful numbers to engineers, physicists, and other scientists is pi. Multiplying pi by the diameter of a circle (the distance across the middle) gives you the circle’s circumference (distance around the outside). s far as mathematicians know, pi is not equal to any exact fraction or decimal number. It is slightly less than 22  7. Mathematicians have used modern computers to figure pi’s value to nearly 3 trillion decimal places—that’s 3, then a decimal point followed by 3 trillion numbers. But the decimals that ancient mathematicians used were close enough for their purposes. The ancient Babylonians and Egyptians discovered pi around 2000 b.c. They found the number by studying how the circumference of a circle changes as its diameter changes. Babylonian mathematicians figured that pi was equal to 3.125. Egyptians figured the number at 3.160. Modern mathematicians define pi as approximately 3.1416. Pi was one of the greatest discoveries in computing history. Pi works on each and every circle, no matter what the size. Ancient people could compute the distance around any circular field, building, or other object by measuring the circle’s diameter and multiplying by about 3.1.  The ancient Egyptians settled along the Nile River (above). They developed hieroglyphic writing and numbers as a way to record history, to keep track of business, and to execute construction projects, among other things. measuring right angles (angles that are perpendicular, measuring 90 degrees) to build giant pyramids and temples. Pi c t u r e N u mb e r s Mention hieroglyphics, and most people think of the Egyptian system of picture writing. But hieroglyphics was also picture numbering. In the Egyptian system, a single line stood for 1, two lines for 2, three lines for 3, and so on up to 9. An archlike symbol stood for 10. A spiral represented 100. The number 1,000 was represented by a lotus plant. A picture of an index finger meant 10,000. The picture for 100,000 was a tadpole or a frog. A man sitting with arms upraised stood for 1,000,000. To write the number 1,109, an Egyptian scribe would draw a lotus plant (1,000), a spiral (100), and nine lines (9). One finger, one lotus, and two spirals meant 11,200. A man and a tadpole together stood for 1,100,000.  The White Chapel, built in the 1900s B.C., contains records of each Egyptian nome (ancient district) and its measurements. The records are carved in the white alabaster stone walls of the chapel (above).  The Rhind Mathematical Papyrus dates to the 1600s B.C. Experts began to translate the mathematical text in the late 1800s after Scottish archaeologist Alexander Henry Rhind obtained the papyrus while in Egypt in 1858. An c i e nt T e xtb o o k s In the 1800s, archaeologists discovered two textbooks used in schools in ancient Egypt. Both books were long scrolls of papyrus, a kind of paper made from the papyrus plant. The books had been used to teach scribes. These professionals were trained to read, write, and perform equations in ancient times. The Rhind Mathematical Papyrus is our most important source of information about Egyptian math. It was named for Alexander Henry Rhind, a Scottish archaeologist. He obtained the scroll near the Egyptian city of Thebes in 1858. The scroll is about 18 feet (5.5 meters) long when it’s unrolled. An Egyptian scribe, Ahmes the Moonborn, wrote the papyrus around 1650 b.c. He called it “insight into all that exists, knowledge of all secrets.” The papyrus explained how to add, subtract, and do other computations with whole numbers and fractions. Most ancient Egyptians were not educated. They wouldn’t have understood the scroll, which explains why its contents were considered “secrets.” But the equations would be a snap for most modern sixth-grade students. Ahmes also included more advanced math in his textbook, including algebra. This branch of math uses symbols to stand for numbers. One simple algebra equation is 6 + x = 7. The answer is x = 1. Another algebra equation is 45 – x = 40. The answer: x = 5. The Egyptians used algebra to solve practical problems. For instance, suppose one thousand stonecutters were building a pyramid. Each stonecutter ate three loaves of bread a day. How much bread would be needed to feed the stonecutters for ten days? The equation: x = 1,000  3  10. The Rhind Papyrus also included brainteasers and word problems. See if you can solve the following one, just as Egyptian students had to. Seven houses contain seven cats. Each cat kills seven mice. Each mouse had eaten seven ears of grain. Each ear of grain would have produced seven measures of wheat. What is the total of all these items together? See the answer below. gyptians used fractions to multiply and divide. They mainly used unit fractions— fractions with a 1 on top—such as 1⁄2 or 1⁄4. In modern times, students often learn to work with fractions by making both bottom numbers match up, no matter what’s on top. Most people consider this method easier than working with unit fractions. So maybe you should be glad you’re not an Egyptian math student! The Moscow Mathematical Papyrus, another ancient Egyptian scroll, was used in the 1800s b.c. It is named for the Russian city where it’s kept. The scroll is sometimes called the Golenishchev Papyrus, after the man who bought it in Egypt in the 1890s. The author of the ancient scroll is unknown. Like the Rhind Papyrus, the Moscow Papyrus included practical arithmetic and algebra problems. Some problems calculated the rate at which a worker could do a job. Others found a ship’s measurements. The Moscow Papyrus also involved geometry. For one problem, students had to find the volume of a pyramid with its top missing. Another example involved finding surface area. The student would then write down numbers from the first column that added up to 12: 4 + 8 = 12. Then the student would add the “partners” of those numbers from the next column to get the answer: 120 + 240 = 360.  Egyptian scribes recorded information on crop yields, tax collection, building projects, and much more. This detail is from a wall painting in the tomb of Mennah, an important scribe in about 1400 B.C. H o w M u c h I s En o u g h ? In ancient Egypt, scribes were important people. They kept records, figured taxes, managed building projects, and helped the military determine how much food and equipment it needed. The Rhind and Moscow papyruses explained how to solve the kinds of problems that scribes would encounter in their work. The books had lessons on measuring the area of fields, adding up numbers of bricks, and calculating the amount of bread and beer needed to feed construction workers.  This wall painting from the tomb of Mennah in Luxor, Egypt, from around 1400 B.C., shows men measuring a field with a length of rope. knotted ropes. They tied knots an equal distance, such as one cubit, from one another. They ran the rope along the ground or against the side of a building. The Egyptians then counted the knots to determine the length. A drawing on a tomb built at Thebes around 1400 b.c. shows people using a knotted rope to measure a field of grain. One man holds each end of the rope, which is stretched along the side of the field. Meanwhile, two other men record the measurement. The men look much like officials at modern football games using a 10-yard (9 m) chain to measure the football’s advance.  This groma, used for measuring right pointed almost exactly in northangles, dates to the first century B.C. It was south and east-west directions. found during an excavation of ancient Egyptian Fayum Province in 1899. How did Egyptian surveyors work so accurately? Part of their secret was a tool called the groma. They used it to make right angles. The groma was a flat wooden cross. Its arms intersected in the middle to form four right angles. At both ends of each arm, cords were attached. Weights were tied to the cords. The weighted cords hung straight down, forming more right angles with the arms of the cross. Ancient surveyors lined up the groma’s arms and cords with the walls and ceilings of buildings. Gromas helped builders make sure that the walls formed perfect right angles with one another. The Nilometer The Nile’s yearly flooding was important to Egyptian farmers. Too little flooding meant less water for crops and a bad harvest. Too much flooding could damage farms and cities. Around 3000 b.c., the Egyptians created a device for computing the Nile’s flood. Archaeologists call it the Nilometer. Nilometers were stone pillars or steps along the riverbanks, marked with measurements. They measured the water level when the Nile overflowed. Scribes and priests kept records of the floods for centuries. Year after year, they compared water levels to crop production. Scribes concluded that a flood of about 16 cubits—27 feet, or 8 meters—was best for the important crops of wheat and barley.  Visitors to Cairo, Egypt, can tour the Nilometer on Roda Island. As the Nile’s water level rises, marks on the wooden post measure its height. Most of the structure that was built in A.D. 715 was destroyed by floodwaters many times. The existing nilometer was rebuilt in 1092. An c i e nt Ta x R ef o r m According to the ancient Greek historian Herodotus, geometry was invented for tax purposes! Geometry is a form of math used to find the area of squares, rectangles, and other figures. In the fifth century b.c., Herodotus wrote about Sesostris, an Egyptian pharaoh (king) from about 1400 b.c. Sesostris charged his subjects a tax based on the amount of land that each person farmed. But every year when the Nile flooded, soil washed into the river. Some farmers lost big pieces of land. So the pharaoh ruled that farmers who had lost land could pay lower taxes. Scribes measured the amount of land that had been lost. Herodotus reasoned, “From this practice, I think, geometry first came to be known in Egypt, whence it passed into Greece.” Herodotus may have a good story, but historians don’t trust it. Some of the names, dates, and facts that Herodotus used in his writings were simply wrong. And experts know that no pharaoh named Sesostris ruled around 1400 b.c. None of the pharaohs from that time perfectly match the pharaoh in Herodotus’s stories, either. Whether or not the story is true, it demonstrates just how useful surveying and computing were in ancient Egyptian society. T h e G r a in The smallest official unit of weight in the United States and the United Kingdom is the grain. A grain is tiny. It takes 437.5 grains to equal 1 ounce (28 grams) and 7,000 grains to equal 1 pound (0.45 kilograms). The ancient Egyptians first used this unit of measurement thousands of years ago. It originally equaled the weight of one grain of wheat. Merchants selling small amounts of precious goods, such as gold, would put several grains of wheat on one side of a beam scale. They weighed out the goods on the other side.  In the tomb of Mereruka, a powerful Egyptian official who lived around 2200 B.C., a relief carving depicts men weighing items on a beam scale. S h a d o w C l o c k s , S u n d i a l s , a n d W at e r C l o c k s Timekeeping was important to people in ancient Egypt. Priests and soldiers had to perform certain tasks at certain times. Rulers, government officials, and scribes had to keep track of workers and their time on the job. Like the Babylonians, the Egyptians divided daylight into twelve equal parts. The Egyptians used clocks as early as 3500 b.c. The first Egyptian clock was an obelisk, a tall, four-sided pillar. It cast a shadow as the Sun moved past. The shadow grew shorter throughout the morning as the Sun rose in the sky. It disappeared at noon with the Sun directly overhead. The shadow lengthened throughout the afternoon as the Sun dipped in the western sky. People estimated the time based on the length of the shadow. Sometime around 1500 b.c., the Egyptians made a new and improved sundial. It looked like the letter T stuck in the ground. A long, narrow base extended behind it along the ground. Lines on the base marked the hours. Egyptians could tell the time of day by looking at which line the bar’s shadow reached. Later, they used sundials in the shape of half circles, like those used in the ancient Middle East. As the Sun moved through the sky, a gnomon cast a shadow on lines spreading out from the center. These early sundials marked twelve hours of daylight year-round. But in Egypt, as in most places, the amount of daylight changes with the seasons. So the length of hours actually varied. With this technology, an hour wasn’t a standardized measure of time. Each hour was longer in the summer and shorter in the winter. Also around 1500 b.c., the Egyptians built another kind of timekeeper. It was the clepsydra, or water clock. It was made of a clay jar with markings on the inside. Unlike sundials, water clocks could keep time at night. As water in the jar dribbled out of a small hole at the bottom, more and more markings were exposed. Each mark that showed meant that another unit of time had passed. Clepsydras had to be made very precisely so they all kept time the same. Water had to flow out of each one at about the same rate.  This replica of an ancient Egyptian water clock is based on the original version carved from alabaster stone. There are ten columns of twelve indentations around the inside of the clock. As water drained from a hole in the bottom at a regular rate, more indentations became visible. People could tell how much time had passed. S u mm e r in D e c e mb e r ? The solar year is the time Earth takes to travel around the Sun. It takes approximately 365 days, five hours, forty-eight minutes, and forty-six seconds. What would happen if the calendar didn’t match the solar year? Holidays and seasons would gradually shift. Summer months would eventually fall in the middle of winter. The first ancient calendars did shift in this way. They were created according to the lunar year. The lunar year is divided into twelve months based on the phases of the Moon. It lasts only 354 days. Because of the difference between the lunar year and the solar year, the first calendars were not very accurate. They shifted 110 days—almost four months—every ten years. The Egyptians were the first people to solve the problem. They created a calendar based on the solar year. The Egyptian calendar had twelve months of thirty days each, with five extra days added at the end of each year. In 238 b.c., the pharaoh Ptolemy III made the calendar even more accurate. He added an extra day every fourth year. That day made up for the nearly sixhour difference (about one-quarter of a day) between the calendar year and the solar year. A year with an extra day is a leap year.  Mohenjo-daro, built around 2600 B.C., was one of the largest settlements of the Indus Valley Civilization. The ruins, discovered in 1922, are located in modern-day Pakistan. we do know that the ancient Indians introduced several advances in computing technology. Later groups of people in India also made important developments in computing. A r a bi c N u m e r a l s = I n d i a n N u m e r a l s The credit for major technological advances sometimes gets lost in history. That certainly is the case with the numerals used in most of the modern world. We usually call them Arabic numerals—but ancient Indian people actually developed them. The ancient Indian numbering system allows people to write down any number, no matter how big, with just 10 symbols: 0, 1, 2, 3, 4, 5, 6, 7, 8, and 9. The first known versions of a few numerals in this system appear on pillars built by Ashoka, an Indian king, around 250 b.c. Then in the first century a.d., early versions of the numerals 1 through 9 appeared. These early numerals have been found on cave walls near Nasik, India. The numeral 0 probably came into use around a.d. 600.  The pillars of Ashoka were built in the 200s B.C., during the reign of King Ashoka. They stood up to 50 feet (15 m) high in locations throughout northern India, Nepal, and Pakistan. Some inscriptions include early versions of modern numerals. Only fragments of the original pillars (such as the one at left) still exist. he Hindu-Arabic numerals we use in modern times came from ancient Indian symbols. But these first-century symbols for 1 through 9 looked quite different. They were part of the Brahmi script. The symbols for 1, 2, and 3 were simply horizontal lines. The symbols for 6 and 7 looked similar to their modern forms at first. But they changed over time. By the 900s, 1 was a vertical line instead of a horizontal line. Scribes had connected the lines in the numerals 2 and 3. So these looked much like the modern symbols. This shortcut let scribes avoid lifting their writing tools off the page. Other symbols had changed in various ways. And by this time, the symbol for 0 was in use. By about 1100, knowledge of the Indian numbering system had spread. People in other parts of Asia and northern Africa began using the numerals. Different versions of the symbols evolved in each region. Sometimes symbols were rotated from earlier versions. Some numerals changed through many small differences, such as the tilt or the length of a line. In eastern Africa and the Middle East, the numerals eventually became the numerals in modern Arabic. In other parts of Asia, the symbols took on their modern forms in the Tibetan, Thai, and Vietnamese scripts. The Indian symbols slowly changed in northern Africa and Spain too. By about 1500, they became the modern numerals that we recognize as 0 through 9.  This chart shows how the first Brahmi numbers changed over time to become Arabic numerals that closely resemble the numbers we use today. Middle Easterners learned about the numbers by trading with India. They adapted the system for their own use. By a.d. 976, Europeans had learned the system from the Middle East. Europeans didn’t know about the numerals’ roots in ancient India, so they named them Arabic numerals (named for Arabs, a people of the Middle East). But modern mathematicians acknowledge the system’s Hindu, or Indian, origin. Since the 1920s, the number system has also been known as Hindu-Arabic. M at h a n d R e l igi o n The Hindu religion, first practiced in ancient India, played a big role in encouraging advanced mathematics. As early as three thousand years ago, altars for ritual had to be built in precise shapes and sizes. Parts of the Vedas, sacred books of Hinduism, described the rules for building altars. One altar might have to be circular and measure a certain area. The next altar might have to be a square equal in area to the circular altar. The sacred texts gave formulas for these constructions.  An Indian man reads from the Vedas, a set of four ancient Hindu religious texts written between 1500 and 500 B.C. Parts of the Vedas describe shapes and sizes of altars based on mathematical principles. Why did the altars have these requirements for their size and shape? A main theme of the sacred Hindu texts was connecting the heavens, Earth, and the living. The altars were a crucial part of making these connections. Three shapes of altars stood for Earth, atmosphere, or space. Together the altars represented the universe. The numbers of stones or bricks used to build them were related to the length of the lunar and solar years. Through the Vedas and the rules for altar construction, historians have realized how much ancient Indians knew about astronomy. In fact, other measurements within Indian temples represented the distances of the Sun and the Moon from Earth. Fat h e r o f S in e The term trigonometry comes from Greek words that mean “the measurement of triangles.” Six functions, or ratios, are at the heart of this branch of mathematics. They are used to determine the sizes of the sides and angles of triangles. One of these six functions is called sine. An ancient Hindu mathematician, Aryabhata the Elder, computed the first sine tables. These lists showed the value of sine for angles of many sizes. The tables let mathematicians do trigonometry quickly, without stopping to figure out the sine for each angle. Aryabhata included the tables in his book Aryabhatiyam, written in a.d. 499. In addition to trigonometry, the book included formulas and rules for algebra, geometry, and arithmetic. It included one the most accurate values of pi that had been found to that time, 3.1416. Aryabhata also introduced a way to find the length of a side of a cube with a known volume. We call this a cube root. he ancient Chinese were advanced mathematicians. They developed the basis for a decimal system and invented the first automated computing device, the abacus. They may have even discovered ideas of geometry before the Greeks made those ideas famous. Sti c k N u mb e r s a n d C o u nting B o a r d s The Chinese wrote different kinds of numerals over time. As early as 1500 b.c., ancient priests carved one type of numerals into shells and bones. They used these objects in ceremonies to gain insight to the future. The inscriptions recorded the number of animals sacrificed, prisoners taken in war, animals hunted, and more. These are the earliest recorded Chinese numerals. Lines and curves formed the symbols for the numbers 1 through 9. These combined with symbols for 10, 100, and 1,000 to make larger numbers. Beginning around 400 b.c., stick numerals were used in a placevalue system. These numerals were short lines. The numbers 1 to 5 were represented with one to five lines. T-shaped figures were used to show  This oracle (fortune-telling) bone from 1500 B.C. contains the earliest known Chinese characters, including numbers. N in e C h a p t e r s The Jiuzhang suanshu, or Nine Chapters on Mathematical Procedures, is the most famous ancient Chinese mathematical text. It dates from between 200 b.c. and a.d. 50. This ancient work contains 246 math problems. It was a required textbook for math students from the seventh through the twelfth centuries a.d. The problems in the Nine Chapters show the variety of math skills that the Chinese valued. The first set of math problems involve surveying. Another set required students to find proportions and percentages for trading goods. Other sets of problems involved questions of engineering, taxes, and finding costs. Many of the problems in the Nine Chapters required complicated calculations with fractions.  Pages from Zhoubi Suanjing, written between 100 B.C. and A.D. 100, illustrate the Pythagorean Theorem of triangles. This copy of the book was reprinted from the Chinese original in 1603.
everal Chinese mathematicians found impressively accurate values of pi. In a.d. 264, Liu Hui used a polygon (a closed shape with any number of straight edges, or sides) to mimic the shape of a large circle. His polygon had 3,072 sides. He knew how to find the perimeter and radius of that shape, so he could then solve for pi. He found that pi = 3.14159. The true value of pi has endless decimals, but when rounded to five decimal places, this value is exactly right. A father-son team of mathematicians sought an even more precise value in about 480. Tsu Ch'ung-Chih and Tsu Keng-Chih found the value of pi to be about 355  113. That’s 3.1415929203 when rounded to ten decimal places. It remained the most accurate value of pi for about 1,200 years. 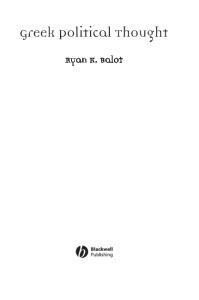 “ten mathematical classics,” along with the Nine Chapters. The text was put together between 100 b.c. and a.d. 100, though its material is believed to be older. Much of the work focuses on measuring the positions and movements of objects in the sky with a gnomon. Its title means “Zhou Shadow Gauge Manual.” Another part of the manual discusses side lengths and areas of right triangles. For many years, this text has been credited with proving how the lengths of the sides of a right triangle are related. In geometry this formula is known as the Pythagorean theorem. (A theorem is a statement that has been proved or is to be proved.) It is named for the ancient Greek philosopher Pythagoras. But the material of this book is thought to be older than Pythagoras. Was the Pythagorean theorem actually a Chinese discovery? Modern scholars aren’t sure. It’s possible that the text was misinterpreted by translators or other mathematicians who added comments over time.  This ancient Chinese star map highlights some of the stars and constellations seen in the night sky. Experts think this map dates to the A.D. 600s. T h e F i r st Sta r C h a r ts Astronomers in ancient China created the earliest known star charts. One of these charts was discovered in the early 1900s. It lay among thousands of ancient documents in a cave in Dunhuang, in northern China. The chart is 6.5 feet (2 m) long, and it shows 1,339 stars in red, black, and white ink. The famous shapes of the Big Dipper and Orion are easily picked out. In 1959 experts examined the chart and determined that it dated to about a.d. 940. However, in 2009 experts at the British Library in the United Kingdom reexamined the ancient map before putting it on display. They realized it was made hundreds of years earlier than thought, probably between 649 and 684. That makes it the world’s earliest known scientific map of the sky. In fact, because of the type of paper used and the lack of any calculations, experts believe the chart is a copy of an even older work. An c i e nt C o m p u t e r s The Chinese developed one of the world’s most lasting computing devices— the abacus. Early forms of the abacus appeared during the Chou dynasty (the period when the Chou family ruled), from about 1122 to 256 b.c. But a later version proved more useful, making the abacus a more common tool. It was in widespread use in China by about a.d. 1200. In fact, it is still a popular calculating tool in some parts of Asia. The abacus could be considered the world’s first computer. It was used for addition, subtraction, multiplication, and division. With the abacus, people could perform these calculations much faster than they could with counting boards or numbers written on paper. The abacus consisted of a rectangular frame divided into two parts. Beads slid up and down along a series of vertical rods in each part. Computing with an abacus was simple. With the device flat on a table, the user moved and counted the beads. A bead was “counted” when it was moved toward the crossbar separating the decks. The upper deck had two beads on each rod. Each of those beads had a value of 5. The lower deck had five beads on each rod. Those beads each had a value of 1.  A Chinese abacus uses five beads per rod on the lower deck and two per rod on the upper deck. Abacuses in other countries used different combinations, such as four and one, or ten beads per rod with no divider. Each vertical rod represented a place value—the 1s, 10s, 100s, 1,000s, and so on. To show the number 4,321 on an abacus, the user moved one bead on the lower right rod toward the crossbar, two beads on the next rod over, three on the third rod, and four on the next. When five beads on a rod had been counted, the user “carried” the number to the upper deck, moving one of the upper beads to the crossbar and all five lower beads away from it. When both upper beads on a rod had been counted, the user carried the number to the next rod to the left by moving one of the lower beads toward the crossbar.  The ancient Maya built the city of Tikal in Guatemala in around A.D. 200. It remained a center of religion and politics for the Maya into the A.D. 900s. hile ancient cultures in Europe, Africa, and Asia thrived, so did groups in North America and South America. For thousands of years, civilizations and empires in the ancient Americas rose and fell. They couldn’t share information with other groups across the oceans. So they created their own systems. Several ancient American groups made significant advances in computing technology—without any knowledge of the discoveries made halfway around the world. The Maya, based in modern-day Mexico and Central America, began settling into farming villages before 1200 b.c. Eventually, Mayan towns and cities stretched from southern Mexico through the modern-day countries of Honduras, Guatemala, El Salvador, and Belize. The culture thrived from about a.d. 200 to 900. Mayan computing technology included a numeral system, mathematics, and an accurate calendar. Mayan computing was more advanced, in some ways, than math used at the same time in Europe, Asia, and Africa. Specifically, Mayan mathematics included the concept of zero, which was not widely used in other parts of the world until later. C o u nting by 2 0 s Most modern societies use a decimal system, based on the number 10. Place values increase in powers of 10: 1, 10, 100, 1,000, 10,000, 100,000, 1,000,000, and so on. The Maya, however, used a system based on the number 20. (This is called a vigesimal system, from the Latin for “twentieth.”) In the Mayan system, place values increased in powers of 20: 1, 20, 400, 8,000, 160,000. To build the number 62, the Maya used three 20s and two 1s, instead of six 10s and two 1s as modern Americans do. We don’t know why the Maya used the base-20 system—perhaps because people have twenty fingers and toes in all.  This page from the Dresden Codex shows many Maya numerals. The Dresden Codex, written in around the 1100s, is a compilation of earlier Maya almanacs and astrological and religious information.  A close-up of a panel from the Madrid Codex, another Maya text, clearly shows Mayan numbers from the fourteenth or fifteenth century A.D., when the codex was probably written. Mayan numerals consisted of dots and bars. One dot stood for 1, and two dots stood for 2. One bar stood for 5, and two bars stood for 10. The Maya combined dots and bars to write larger numbers. One bar and four dots, for instance, stood for 9. Two bars and two dots stood for 12. Z e r o Pi o n e e r s The ancient Maya were one of the earliest peoples to use a symbol for zero as a placeholder. They probably used it by the a.d. 300s—long before most civilizations used such a symbol. Their base-20 number system, which included zero, came into use in the several centuries that followed. The Mayan symbol for zero was a small oval with several lines inside. The Mayan zero was first merely a placeholder, for example to distinguish 26 from 206. But it was used as a number later on in Mayan culture, still hundreds of years before Europeans caught on to its use. the Mayan system, numerals were written from bottom to top. And because the Maya used a base-20 system, values increased in powers of 20: 1s on the bottom row, 20s above them, 400s next, and so on. H o ly N u mb e r s The Maya believed that some numbers were holy, including 20, the basis for the Mayan numbering system. The number 5 was also special, maybe because people have five fingers on each hand. The Mayan century had fifty-two years, so the number 52 was holy. The number 400 was very special—it was the number of gods of the night. The number 13 was special because the Maya thought that the sky consisted of thirteen layers. athematicians held an honored spot in Mayan society. They helped keep the calendar, and they predicted the movements of celestial bodies. Mathematicians also made business calculations, computing prices of goods and land, for instance. Mathematicians were shown in Mayan picture writing by a special symbol that included a scroll with numbers. The first mathematician identified in Mayan picture writing was a woman. We don’t know her name or anything about her. But she must have been very important. numbers show the Long Count date on Stela 29, a stone monument found in the ancient city of Tikal, Guatemala. It dates from a.d. 292. The Long Count date appears as 8.12.14.8.15—meaning 1,243,615 days since the Mayan creation. T h e Azt e c C a l e n d a r Several hundred years after the Mayan civilization had dwindled, the Aztec Empire became a powerful force in Mexico and Central America. Between the early 1300s and 1500s, this group ruled land from central Mexico to Guatemala, El Salvador, and Honduras. The city of Tenochtitlán, at the site of modern Mexico City, was the heart of the empire. The Aztec calendar was similar to the Mayan calendars. Like the Maya, the Aztecs measured time in three different ways. A 260-day sacred calendar kept track of which Aztec gods ruled over the days and weeks. This was the tonalpohualli. A 365-day calendar, the xiupohualli, measured the solar year. It kept track of seasons. The start of these two calendars matched up just once every fifty-two years. This stretch of 18,980 days, or fifty-two years, made up the third Aztec calendar. In 1790 workers making repairs on the central square in Mexico City unearthed a huge, sculpted circular stone known as the Sun Stone. They found it among the ruins of Tenochtitlán beneath the modern city. People often call it a calendar stone. It includes signs for twenty tonalpohualli days. But it was not a calendar. Instead, it was probably used as an altar in Aztec ritual sacrifices. The Aztecs believed that their gods, including the sun god, required frequent offerings of blood. Human sacrifice was a common ritual to keep the Sun shining and keep the heavens in order.  When the Sun Stone was first discovered in Mexico City, Mexico, in 1790, people thought it was an Aztec calendar. Hieroglyphs carved on the stone refer to special days in the Aztec year. The stone was probably used as an altar. The Incas of South America were a thriving society from about a.d. 1400 to 1600. Nestled in the Andes Mountains, the Incas did not interact with European or Asian civilizations until the Spanish arrived in the 1500s. The Inca culture developed unaware of the advancements made in earlier times in Central America. The Incas are known for their impressive building feats. They built Machu Picchu, an ancient city on a steep mountain ridge in Peru. They are not known for their mathematical advances. But like the Egyptians, the Incas would have needed computing to keep building projects in order and keep records of workers, supplies, and land. However, most experts believe that the Incas had no writing system. Information probalby was passed through word of mouth. So how did they save information? They used the quipu, a group of knotted cords that served as a complex recording device for numbers. Quipus kept track of people counted in a census, a farmer’s animals, tax records, and more.  Quipus, such as this one, were used by the A quipu had a main Inca to record and store information through a horizontal cord with several system of knots. Quipus were often made from vertical cords attached to it. spun llama or alpaca hair. Others were made from cotton fiber. Other cords may have been attached to some of those cords, like small branches attached to larger branches on a tree. The Incas recorded information on quipus by tying knots on each cord. Knots of three types and in different points along a cord stood for numbers in different place values, such as hundreds, tens, or ones. Cords of different colors were used to identify the things being counted. One color may have stood for sheep and another color for llamas, for example. The end cord may have shown the total when the other cords’ numbers were added together. With so much meaning coded into the rope colors and the knots, a quipu would not have meant much to someone who didn’t know how to “read” it. So certain members of Inca societies were responsible for remembering and interpreting the information stored in quipus.  The Parthenon and other ancient Greek structures from the 400s B.C. still stand on the Acropolis, the hill overlooking the modern-day city of Athens, Greece. ncient Greece was a powerful civilization that conquered much of the Mediterranean and Middle Eastern worlds—from Egypt to the border of India. The Greeks founded the city of Alexandria in Egypt. It became a center for computing and science. The Greeks borrowed some computing technology from the Egyptians, but they did not just make small improvements. Instead, the Greeks developed entirely new fields of computing. They laid the foundation for modern mathematics. To the Egyptians, math was a practical tool used for figuring taxes, conducting business, and building structures. The Greeks, on the other hand, admired math for its logic. They thought of it as a way to train the mind. The Greeks separated math into two main branches. They used applied math to solve practical problems. Theoretical math involved the study of lines, figures, and points that do not exist in nature. The Greeks also used math to prove and disprove theories about the natural world. Greek Numerals Imagine having to memorize twenty-seven symbols for numbers instead of the ten we use. That’s what students in ancient Greece did. The Greeks used the twenty-four letters in their alphabet to stand for numbers. When they ran out of their own letters, they borrowed three letters from the Phoenician alphabet, an older alphabet from the area that is now Lebanon, Syria, and Israel. The first nine Greek letters stood for the single-digit numbers, 1 through 9. The second nine letters represented multiples of ten—10, 20, 30, and so on up to 90. The last nine letters stood for hundreds, up to 900. A bar placed to the left of a numeral indicated thousands. The letter M below a numeral stood for tens of thousands.  Ancient Greeks used letters of their alphabet to stand for numbers. Greek letters and numbers are inscribed on this stone plaque, found in Ephesus (modern-day Turkey). The ancient Greeks populated Ephesus from the tenth century B.C. through 190 B.C., when it fell under Roman rule. A Fa m o u s T h e o r e m The Greek philosopher Pythagoras lived from about 580 to 500 b.c. Pythagoras started a school of math and philosophy in Crotone, in modern-day Italy, which was then part of Greece. His students were called the Pythagoreans. Pythagoras is best remembered for creating a theorem about right triangles. These are triangles  The Greek philosopher and mathematician Pythagoras is honored in this relief carving that include a right (90-degree) on the Royal Portal of the Chartres Cathedral angle. The side opposite the right near Paris, France. The cathedral was built in angle is called the hypotenuse. the 1100s. Pythagoras discovered that the length of the hypotenuse, squared (multiplied by itself), is equal to the sum of the squares of the other two legs of the triangle. We often state the Pythagorean theorem as a2 + b2 = c2. In this equation, a and b stand for the legs that form the right angle of the triangle, and c stands for the hypotenuse. Although Pythagoras gets the credit for the theorem, the Babylonians knew about this equation a thousand years before Pythagoras. The Babylonians used the equation in surveying land and figuring the area of fields. The Chinese may have already known it too. On e T h e o r e m L e a d s to An ot h e r Euclid, another Greek mathematician, taught math in Alexandria. He studied prime numbers. A prime number is one that can be divided evenly only by 1 and itself, such as 3, 7, or 11. Euclid proved that there are an infinite number of primes. Around 300 b.c., Euclid put together many theorems about geometry, including many from other important mathematicians. He used one theorem to prove another and that theorem to prove the next. But Euclid ran into a problem. If each theorem was proved with an existing theorem, how could a person prove the first theorem? Euclid solved that problem using axioms— statements so obvious that proving them is unnecessary. Here are the five axioms (also called postulates) that Euclid used: 1. A straight line segment can be drawn to connect any two points. 2. Any straight line segment can extend to form an endless straight line. 3. Given any straight line segment, a circle can be drawn with one endpoint as its center and the line segment as its radius (the distance from the center to the perimeter of a circle). 4. All right angles are equal, measuring 90 degrees. 5. Take two lines that cross a third line. If the inner angles on one side of the third line add up to less than 180 degrees, the first two will eventually cross each other on that side. (This statement is equivalent to what is known as the parallel postulate.) With axioms and theorems, Euclid organized a system of geometry known as Euclidean geometry in modern times. Euclid put his system into a thirteenvolume book, the Elements. It was used as a basic geometry textbook for two thousand years. Modern high school geometry courses are still based on the first volumes of the Elements. P r o o f o f t h e Obvi o u s ? Although Euclid was one of the greatest mathematicians in history, some experts thought parts of the Elements were silly. They said Euclid wasted time proving ideas that were obvious. In one part, for instance, Euclid proved that no one side of a triangle can be longer than the other two sides added together. He drew a triangle with the corners labeled A, B, and C. Euclid explained that if a hungry mule stood at point A and a bale of hay sat at point B, the mule would know that the shortest route to the hay was directly from point A to point B, not from A to C to B. Epicureans, students of another Greek school of thought, made fun of Euclid for spending time proving something that was obvious even to an animal.  This page from Euclid’s Elements, originally written in about 300 B.C., deals with triangles. An c i e nt C o m p u ting S c h o o l The Greek philosopher Plato believed that society would benefit if everybody were educated to the highest level possible. This great thinker lived from about 428 to 347 b.c.  Italian artist Raphael (1483–1520) painted some of ancient Greece’s greatest thinkers in The School of Athens. The wall painting decorates one of the walls of the Vatican (where the pope, head of the Roman Catholic Church, resides). This painting shows Plato (center in red robe) talking with Aristotle (to the right of Plato). According to the story, Archimedes had realized that a gold or silver object submerged in water would displace, or push aside, water equal to its own volume. (This is because gold and silver are denser than water and will sink, not float.) Since gold weighs more than silver, Archimedes knew a crown of gold and silver would displace more water than a pure gold crown that weighed the same. The gold and silver crown would be bulkier from the extra silver needed to make it weigh the same. Archimedes dropped masses of pure gold and pure silver into water to measure the displacement. Then he dropped in the crown. Sure enough, it displaced more water than the pure gold mass had. Archimedes had figured out that the king’s crown was not made of pure gold. Modern mathematicians as far back as the Italian astronomer Galileo, in the 1600s, have doubted this story. They say this method would not make a very exact measurement. And they doubt Archimedes would have measured gold in the crown with a method that inexact, since he was so brilliant. However, Archimedes may have indeed been in the bathtub when he discovered the math principle used in the story. T h e G r e at e st M at h e m ati c i a n ? Some historians think that Archimedes was the ancient world’s greatest math wizard. He used math to design machines and made great advances in computing technology. For example, around 240 b.c., Archimedes computed a new value for pi that was much more accurate than earlier figures. Using an arithmetic formula, he found the perimeter of a ninety-six-sided shape just barely outside the circle. Then he used the formula to find the perimeter of another shape just inside the circle. Archimedes knew the perimeter of the circle would be between those numbers. He was the first to calculate pi this way instead of with actual measurements. This approach, known as the method of exhaustion, gave him better results. He found that pi is between 31⁄7 (about 3.1429) and 310⁄71 (about 3.1408). Mathematicians used his figure for centuries.  Italian artist and inventor Leonardo da Vinci (1452–1519) was inspired by Archimedes’ work with spirals. These are da Vinci’s notes and drawings of a screw that Archimedes described in the third century B.C. Archimedes studied spirals and figured out properties such as the surface area covered by each of a spiral’s turns. In his study of spirals, Archimedes developed special math techniques. They were the basis, centuries later, for a field of math called integral calculus. Archimedes also studied the properties of spheres and cylinders. He wrote about his discoveries in books such as On Spirals, On Floating Bodies, On the Measurement of the Circle, and On the Sphere and the Cylinder. In one of his last works, The Sand-Reckoner, Archimedes calculated how many grains of sand it would take to fill the universe. He ended up with a number equal to 8 followed by 63 zeros. To find this figure, Archimedes developed a system for computing with very large numbers. It is the basis for scientific notation, a way of writing very big—and very small—numbers. In scientific notation, 894,000,000 would be written 8.94  108, where 108 is the same as a 1 followed by eight zeros. Fat h e r o f A l g e b r a Diophantus was a mathematician who lived in Alexandria around a.d. 275. Diophantus has been called the father of algebra. He introduced the use of symbols and equations (such as x + y = z) in math and wrote Arithmetica, the world’s first book on algebra, in the third century a.d. Arithmetica consisted of thirteen volumes and included about 130 problems. It was used for centuries. It helped engineers use algebra to measure land and construct roads and buildings. An c i e nts L e a r ning f r o m An c i e nts Remember how Mesopotamian astronomers used math to study the movements of heavenly bodies and to predict eclipses? In the 100s b.c., a Greek astronomer named Hipparchus also studied astronomical events. Hipparchus learned about the Mesopotamian system of counting seconds and minutes by 60s. He used it to track the positions of heavenly bodies. He also used trigonometry to study the position of the Sun and planets and was able to more accurately measure the length of a year. His calculation was correct to within 6.5 minutes. T i c k To c k , B e tt e r C l o c k s A Greek engineer named Ctesibius of Alexandria made an early form of our modern mechanical clock in the second century b.c. It was a clepsydra, or water clock. It was more advanced than those used in ancient Egypt. Ctesibius’s clock consisted of a float with a vertical rod on top. A doll-like statue, with a pointer in its hand, was attached to the top of the rod. The pointer showed the time and the date by pointing to lines on a dial. The float was placed in a container of water. It rose as water steadily dripped into the container. When the water reached the top, it flowed out to start again, and the float moved down. The pointer also moved down. he first female mathematician known by name was Hypatia (right). She was born around a.d. 370. She went on to become the leader of a large group of philosophers and scientists based in Alexandria, Egypt. Hypatia wrote a number of works on mathematics, including a book on astronomy. An angry mob murdered Hypatia in 415. Why? Nobody knows exactly. Some historians believe that Hypatia became too famous and that people envied her. Others think that the murder was part of a backlash against scientists. Some Christians said that scientists did not believe in God. The mob  This terra-cotta sculpture of Greek mathematician Hypatia may have killed Hypatia for that reason. was made in the A.D. 400s. Many mathematicians and scientists fled Alexandria after Hypatia’s murder. They probably feared that they, too, would be killed. Before the murder, Alexandria had been the world’s center of science, medicine, and learning for almost seven hundred years. Historians use Hypatia’s death to mark the end of Alexandria as the global center of learning. Other Greek water clocks were fancier. Their pointers were attached to gears that moved as water flowed from the clocks. The gears’ movements caused polished stones to drop into bowls or little statues to spin, marking the passage of time. An c i e nt C l o c k To w e r Have you ever heard of Big Ben? It’s a 13-ton (12-metric-ton) bell in the Clock Tower of the Houses of Parliament in London, England. People have used Big Ben to keep track of the time since 1859. The Tower of the Winds in ancient Athens held giant sundials. They were the ancient world’s Big Ben. Also known as the Horologium, the Tower of the Winds is still standing. It is a marble tower 42 feet (13 m) high and 26 feet (8  The Tower of the Winds helped ancient Greeks m) across. keep track of time and wind direction. The marble Andronicus of Cyrrhus, structure, built in 100 B.C., still stands in Athens. a Greek astronomer and mathematician, designed the tower around 100 b.c. It has eight sides, each containing a sundial that keeps very precise time. Using geometry, Andronicus computed exactly how shadows would fall onto the surfaces of the sundials. For telling time at night and on cloudy days, Andronicus added a clepsydra inside the tower.  This is one of the gears from the Antikythera Mechanism, which was recovered from the bottom of the sea in 1901. The device, made in the second century B.C., is a series of bronze gears that may have been used in navigation. ship that had sunk two thousand years earlier. The device became known as the Antikythera Mechanism. Nobody knew what the device was until the 1950s, when a Yale University scientist, Derek de Solla Price, concluded that it was an ancient computer. It had thirty gears, as well as pointers and dials. The machinery turned to calculate the rising and setting of the Sun and the Moon and movements of important stars. Professor de Solla Price thought that the Antikythera Mechanism had probably been displayed in a museum or public hall, where people could have looked at it and marveled. Maybe, he said, it had been displayed in the Tower of the Winds. In 2005 scientists from Greece and the United Kingdom conducted new studies on the Antikythera Mechanism with cutting-edge technology. They used three-dimensional X-rays, surface imaging, and detailed digital photography to see inside the mechanism. With this new data, they explored its tiniest internal parts. The new technology also captured images of ancient inscriptions so faint or hidden that no one had seen them since the device sank with the ship. These inscriptions shed light on the functions of the mechanism. The ancient computer predicted solar eclipses and even kept track of the four-year cycle of the ancient Olympic Games. In addition, dials on the back  A reconstruction of the Antikythera of the mechanism bear the Mechanism, made with the help of modernnames of the twelve months day technology, is on display at a museum in Athens. of an ancient calendar. The names have origins in Sicily. Scientists think these names may connect the Antikythera Mechanism to Sicily’s most famous mathematician, Archimedes. The brilliant designer behind this ancient computer is just one of its many remaining mysteries. No one developed a more advanced computing device than the Antikythera Mechanism for more than a thousand years after its creation. common ideas about time and space. His ideas became known as Zeno’s Paradoxes. A paradox is a statement that is contradictory or illogical. The Dichotomy was one of Zeno’s most famous: Motion cannot exist because before that which is in motion can reach its destination, it must reach the midpoint of its course. But before it can reach the middle, it must reach the quarter point. But before it reaches the quarter  This bust of Zeno was found in Herculaneum, point, it must first reach the on the southwestern coast of Italy. Zeno was a great mathematician who lived from 495 to 430 B.C. eighthpoint, etc. Hence, motion in Elea, Italy, which was once part of the ancient can never start. Greek empire. To understand the paradox, suppose a girl wants to run to a friend 100 feet (30 m) down the street. First, she has to reach the 50-foot (15 m) mark. Before that, she has to reach the 25-foot (7.6 m) mark. To do that, she must reach the 12.5-foot (3.8 m) mark. Before that, she has to run 6.25 feet (1.9 m). Since space can be divided into an infinite (unending) number of tiny units and each unit will take a certain amount of time to cover, the girl would need an infinite amount of time to reach her goal. This paradox may seem silly or illogical. But it created a big headache for mathematicians. For centuries no one could prove Zeno wrong. Mathematicians finally succeeded in the late 1800s. They disproved the paradox using the theory of infinite sets, which is a mathematical way of describing relationships among objects.  This painting shows a twentieth-century artist’s vision of a typical day in ancient Rome in A.D. 300. The ancient Romans were masters of engineering and architecture. Many of their structures are still standing. way. Whereas the Greeks admired math as a way of training the mind, the Romans were practical people who applied math to real-life problems. They needed freshwater for their cities, so they used computing technology to design aqueducts, or giant water channels. Using the groma and other surveying instruments borrowed from the conquered Egyptians, the Romans constructed roads, buildings, and other structures. The Romans used math as a tool. However, they made few important mathematical advances of their own. I , V, X , L , C , D , M The Romans developed a numbering system in which just seven letters from the Latin alphabet and a few extra symbols could be used to write any number—from 1 to 1,000,000,000,000,000,000,000,000 or more! The Latin letter I stood for 1, V for 5, X for 10, L for 50, C for 100, D for 500, and M for 1,000. Placing a small bar over the top of a number multiplied its value by 1,000. For instance, M (1,000) with a bar on top meant 1,000,000. In theory, a person could add enough bars to write huge numbers. In practice, the Romans rarely used more than one bar. Roman numerals were written from left to right. A number placed to the right of another number of equal or greater value indicated addition. That is, VI meant 5 + 1, or 6. MD meant 1,000 + 500, or 1,500. DC meant 500 + 100, or 600. A number placed to the left of another number of greater value indicated subtraction. For example, XL meant 50 – 10, or 40. DM meant 1,000 – 500, or 500. MCM meant 1,000 + (1,000 – 100), or 1,900. Try writing your street number, height, and weight using Roman numerals. Can you guess the big disadvantage? For one thing, the numbers can take up a lot of space. They are also hard to use for addition, subtraction, multiplication, and division. y the first century b.c., the abacus was a common counting and calculating tool in ancient Rome—long before it gained popularity in China. The Romans used some abacuses with rods, like the Chinese. Another Roman version had grooves in which pebbles or smooth, round metal counters could be moved.  This bronze abacus is from ancient Rome.  This reconstruction of an ancient Roman odometer was created based on the descriptions of the device by the Greek mathematician Heron of Alexandria, Egypt (a Roman city at the time), and Roman Marcus Vitruvius Pollio. The men lived around the same time in the first century B.C. or long distances, Romans used the measurement known as mille passuum, or one thousand paces. This distance was equivalent to five thousand Roman feet. It is also known as one Roman mile. In modern measurements, a Roman mile is about 0.92 modern miles, or 1,479 m. The Romans used this measurement in constructing canals, roads, protective walls and forts for the army, and more.  A Roman road and arched gate built in the second century A.D. still stand at al-Bas, in modern Lebanon. could count the number of stones in the container, tally his mileage, and reload the stones for the next day’s journey. short. Later, the Romans added two more months, but they were not long enough. To make up for the shortfall, the Romans had to add an extra month to their calendar every two years. The Roman calendar got further off track when officials started adding even more extra months. Why? Sometimes they did it to stay in office longer or delay elections. Finally, in 45 b.c., Emperor Julius Caesar adopted the Egyptian solar calendar for the Roman Empire. He called it the Julian calendar in his own honor. It had a year of 365 days and every fourth year— leap year—an extra day. The Julian calendar was very accurate. It was only eleven minutes, fourteen seconds longer than the solar year.  A Julian calendar carved into stone has pegs marking the month (center), date (sides), and day of the week (top). The Julian calendar was used in ancient Rome.  Leonardo da Vinci was one of the many great thinkers of the Renaissance. He drew this idea for a measuring instrument based on geometric principles in the 1400s. rediscovery of advanced mathematics from ancient times jump-started modern mathematics. In addition, global exploration spurred on the spread of technology. Europeans explored and settled in the Americas throughout the 1500s and 1600s. European colonies in Asia and Africa also brought the knowledge of different cultures together. In many places, oppressive colonial rule—or brutal conquest—meant that the less powerful group’s knowledge and technology were ignored. This was the case when the Spanish conquered the Inca in South America. Nevertheless, as global mobility and communication increased, so did the spread of mathematical ideas.  Students use a beam scale to weigh salt in a science lab. Beam scales are still used for precise measurements in modern times. advancing technology. The Chinese were not the only culture to develop a calculator of that sort. Other versions of the abacus were used in ancient Sumeria, ancient Greece, and ancient Rome, and into modern times in Russia and Japan. The U.S. Army tested the usefulness of the Japanese abacus in 1946. It pitted the abacus against a then-new electric calculator in a contest of speed and accuracy. Each machine had a skilled operator to solve problems using addition, subtraction, multiplication, and division. The abacus won, 4 points to 1!  This replica of Blaise Pascal’s calculating machine was made in 1926. Pascal made his in 1642 at the age of nineteen. The stylus, or pen-shaped tool, was used to move the number wheels. important concept in the modern fields of statistics, finance, science, and philosophy. The field of calculus, the study of change, opened up a decade later. Among its many uses, calculus is used to define curves, areas, and volumes. In 1665 Isaac Newton, a British scientist and mathematician, showed how the two central operations in calculus relate to each other. The German philosopher and mathematician Gottfried Leibniz also developed this field independently of Newton. In the 1670s, he created the notation that most calculus students still learn to write equations. Calculus paved the way for countless advances in engineering and mechanics, physics, statistics, astronomy, economics, medicine, and more. F r o m M at h e m ati c s to Computers Mathematicians have continued to build and improve on one another’s ideas over time. But how did we get from calculus to laptops? Abacuses and the Antikythera Mechanism were early versions of calculators or computers. So was the slide rule, a numbered sliding tool invented in the seventeenth century. The slide rule saved time and errors in calculating. A user found an answer to a calculation by positioning parts of the slide rule so certain numbers matched up.  A slide rule from 1855 helped users with mathematical calculations. Digital computers—such as modern computers—are programmable machines. The user can program them to perform certain operations. The first such machines appeared in the early 1800s. Early programmable machines included a textile loom and a mechanical computer. British mathematician Alan Turing worked with computation in the 1930s. His ideas earned him the nickname the father of computer science. However, American George Stibitz is often considered the father of the modern computer. In 1937 he built the first calculator that used the binary numeral system, or binary code, to perform arithmetic. Binary code uses patterns of 0s and 1s. For example, the number 9 in the decimal system can be written as 1001 in binary code. All modern computers use binary code in their internal operations.  This 1946 photo of the Electronic Numerical Integrator and Computer (ENIAC), an early electronic computer, shows programmers at work on the room-sized device. As electronic, digital computers advanced throughout the 1900s, they grew both in capability and size. Scientists developed hardware to store information. This changed computers from calculators into data storage machines, as we know them. Room-sized computers were built  A customer tries out an Apple iPhone. With the throughout the 1950s technological advances of the twenty-first century, and 1960s to process room-sized technology fits into the palm of your hand. increasingly advanced calculations. Then, in the 1970s, the invention of microprocessors allowed computers to shrink dramatically. By the 1980s, personal computers could fit on a desktop. Thanks to the incredible processing ability of computers, modern people can work faster and with fewer errors than our ancestors. Computers quickly perform calculations that would take a human an entire lifetime. Because of this, they have allowed for endless developments in mathematics, science, and other fields. But none of this would be possible without the computing technology of the ancients. Their early systems for measuring, counting, and calculating gave us the tools we use every day. ca. 3500 B.C. ca. 3000 B.C. Early African peoples in the modern-day country of Swaziland carve notches into a baboon bone, later known as the Lebombo bone, as a way to keep track of numbers. Egyptians begin using obelisks as early sundials. Mesopotamians write on clay tablets, including number symbols from their counting system based on 60. These are some of the world’s earliest known number symbols. Egyptians begin using Nilometers to measure the water level during the Nile River’s annual flood. Babylonian and Egyptian mathematicians discover the concept of pi. They calculate the first approximate values. ca. 1500 B.C. ca. 1400 B.C. 500s B.C. Egyptians design the first clepsydra, or water clock. Sumerians use surveying to measure land boundaries. Pythagoras proves that for any right triangle, the square of the length of the hypotenuse is equal to the sum of the squares of the other two sides. This becomes known as the Pythagorean theorem. The Babylonian astronomer Berosus creates a sundial by placing a gnomon in a bowl-shaped base. Lines on the base divide the day into twelve equal parts. The Greek mathematician Euclid publishes the geometry text Elements. This includes five axioms on which he bases some of his theorems. Archimedes uses 96-sided polygons in his “method of exhaustion” to determine that the value of pi () is between 31⁄7 (about 3.1429) and 310⁄71 (about 3.1408). The pharaoh Ptolemy III improves the Egyptian 365-day calendar by adding one extra day every four years. The new calendar is about eleven minutes longer than the solar year. The Chinese classic text Nine Chapters on Mathematical Procedures is written. The Greek engineer Ctesibius creates a new kind of clepsydra that is more precise and accurate than older versions. The Maya of Central America use zero as part of their base-20 numbering system. Aryabhata the Elder, of India, includes tables of sine values for many angles in his book Aryabhatiyam. The Inca society thrives in the Andes Mountains of South America. They use knotted ropes called quipus to keep records of numbers and other information. Alexander Henry Rhind finds a mathematical papyrus near Thebes, Egypt. The Rhind Mathematical Papyrus dates to about 1650 b.c. Divers find the Antikythera Mechanism among a shipwreck. Greek and British scientists study the Antikythera Mechanism with new imaging technology. They reveal inscriptions that give clues about the many uses and the origin of the mechanism. Experts at the British Library reevaluate an ancient Chinese star chart. They realize it dates to a.d. 649–684, making it the earliest known star chart. A British scientific historian cracks a “code” of mathematical patterns in Plato’s ancient writings, revealing that Plato believed mathematical principles, not the gods, controlled the universe. Plato probably hid this belief to avoid punishment by religious leaders. People in India begin using Hindu-Arabic numerals in a decimal system. The earliest recorded zero is carved in a temple built in India. The abacus becomes popular in China, although earlier versions had existed for centuries. The U.S. Army pits the Japanese abacus against an electric calculator in a contest of speed and accuracy. The Japanese abacus wins. Archaeologists find the ancient Lebombo bone near Border Cave in Swaziland. lunar year: a time period based on the phases of the Moon, lasting a total of 354 days. The lunar year was divided into twelve months of 29 or 30 days each. prime number: a number that can be divided evenly only by 1 and itself right angle: an angle measuring 90 degrees scientific notation: a system in which numbers are expressed as a number between 1 and 10 multiplied by a power of 10. For example, 29,300 is written 2.93  104. SOURCE NOTES 12 Ronald Schiller, “New Findings on the Origin of Man,” Readers Digest, August 1973, 89. 21 Asger Aaboe, “Scientific Astronomy in Antiquity,” Philosophical Transactions of the Royal Society of London 276 (1974): 41–42. 26 Ahmes the Scribe, the Rhind Papyrus, quoted in Eli Maor, Trigonometric Delights (Princeton, NJ: Princeton University Press, 1998), 5, available online at http://press.princeton.edu/books/maor/prologue.pdf (July 15, 2010). 32 Herodotus, History of Herodotus, vol. 2, trans. George Rawlinson (London: John Murray, 1862), 153–154. 33 Proclus Diadochus, A Commentary on the First Book of Euclid’s Elements, trans. Glenn R. Morrow (Princeton, NJ: Princeton University Press, 1970). 39 Will Durant, Our Oriental Heritage, vol. 1 (New York: Simon and Schuster, 1954), 527, available online at http://crd.lbl.gov/~dhbailey/ dhbpapers/decimal.pdf (July 14, 2010). 48 Georges Ifrah, The Universal History of Computing (New York: John Wiley and Sons, 2001), 24. 55 L. F. Rodríguez, Astronomy among the Mayans (Spanish), Rev. Mexicana Astronom. Astrofis. 10 (1985), 443–453, available online at MacTutor History of Mathematics, trans. John J. O’Connor and Edmund F. Robertson, http://www-history.mcs.st-and.ac.uk/HistTopics/Mayan _mathematics.html (July 14, 2010). 62 Stewart Shapiro, The Oxford Handbook of Philosophy of Mathematics and Logic (New York: Oxford University Press, 2005), 243. 77 “Cicero’s Tusculan Disputations,” Project Gutenberg, 2005, http://www .gutenberg.org/files/14988/14988-h/14988-h.htm (September 14, 2010). SELECTED BIBLIOGRAPHY Adkins, Lesley, and Roy A. Adkins. Handbook to Life in Ancient Rome. New York: Facts on File, 1994. Asimov, Isaac. Asimov on Numbers. Garden City, NY: Doubleday, 1977. Benson, Elizabeth P. The Maya World. New York: Thomas Y. Crowell Company, 1977. Fauvel, John, and Jeremy Gray, eds. The History of Mathematics: A Reader. New York: Macmillan, 1987. Fleet, Simon. Clocks. London: Octopus Books, 1972. Grimal, Nicolas. A History of Ancient Egypt. Cambridge, MA: Blackwell Publishers, 1994. Heilbron, J. L. Geometry Civilized: History, Culture and Technique. New York: Oxford University Press, 1998. Hodges, Henry. Technology in the Ancient World. New York: Alfred A. Knopf, 1977. Hollingdale, Stuart. Makers of Mathematics. New York: Penguin Books, 1991. Ingpen, Robert, and Philip Wilkinson. Encyclopedia of Ideas That Changed the World: The Greatest Discoveries and Inventions of Human History. New York: Penguin Books, 1993. James, Peter, and Nick Thorpe. Ancient Inventions. New York: Ballantine Books, 1994. Novikov, Igor D. The River of Time. Cambridge: Cambridge University Press, 1998. O’Connor, John J., and Edmund F. Robertson. “History of Mathematics.” MacTutor History of Mathematics. May 2010. http://www-history.mcs .st-and.ac.uk/HistTopics/Mayan_mathematics.html (September 14, 2010). Robinson, Andrew. The Story of Writing. New York: Thames and Hudson, 1995. Saggs, H. W. F. Civilization before Greece and Rome. New Haven, CT: Yale University Press, 1989. FURTHER READING Asimov, Isaac. Astronomy in Ancient Times. Milwaukee: Gareth Stevens Publishing, 2006. This title explores the methods and instruments that ancient astronomers used to study the sky. Hightower, Paul. The Father of Geometry: Euclid and His 3-D World. Berkeley Heights, NJ: Enslow Publishers, 2010. Get a glimpse of one of the world’s first mathematicians through this look at his work, the Elements. McCallum, Ann. The Secret Life of Math: Discover How (and Why) Numbers Have Survived from the Cave Dwellers to Us! Nashville: Williamson Books, 2005. Read about the role math and numbers played in the ancient world through modern times. Passport to History series. Minneapolis: Twenty-First Century Books, 2001–2004. 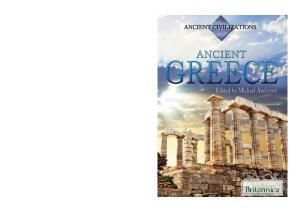 In this series, readers will take trips back in time to ancient China, Egypt, Greece, Rome, and the Mayan civilization. They will learn about people’s clothing, medicine, work, tools, and other aspects of daily life. Unearthing Ancient Worlds series. Minneapolis: Twenty-First Century Books, 2008–2009. This series takes readers on journeys of discovery, as archaeologists discover King Tut’s tomb, the royal Incan city of Machu Picchu, the ruins of Pompeii, and other archaeological treasures. Visual Geography Series. Minneapolis: Twenty-First Century Books, 2003–2011. Each book in this series examines one country, with lots of information about its ancient history. The series’ companion website—Vgsbooks. com—offers free, downloadable material and links to sites with additional information about each country. WEBSITES Calendars through the Ages http://www.webexhibits.org/calendars/index.html Since the beginning of human history, people have measured the passage of time. This kid-friendly site explains how as it explores calendars from around the world—from both ancient and modern times. Science Kids at Home http://www.sciencekidsathome.com/science_experiments/sundial-1.html This site gives step-by-step instructions on how to make your own sundial. You can tell time just like the ancients did! Secrets of Lost Empires http://www.pbs.org/wgbh/nova/lostempires/ This companion website to the PBS television series NOVA investigates architectural mysteries of the ancient world, from the grand obelisks of Egypt to the complex Roman water system. Science Channel http://science.discovery.com/ Use the search box on this page to search for “What the Ancients Knew.” Then check out hundreds of video clips that explain how ancient civilizations used mathematical and scientific principles to accomplish amazing feats. printed Expand learning beyond the lementary book. Download free, comp this book educational resources for from our website, www.lerneresource.com. ABOUT THE AUTHORS Michael Woods is a science and medical journalist in Washington, D.C. He has won many national writing awards. Mary B. Woods is a school librarian. Their past books include the fifteen-volume Disasters Up Close series, the seven-volume 7 Wonders of the Ancient World set, and the seven-volume 7 Wonders of the Natural World set. The Woodses have four children. When not writing, reading, or enjoying their grandchildren, the Woodses travel to gather material for future books. PHOTO ACKNOWLEDGMENTS The images in this book are used with the permission of: © Erich Lessing/Art Resource, NY, pp. 3, 8, 18, 19, 25, 29, 30; © Laura Westlund/Independent Picture Service, pp. 4-5; © Robert Manella/Iconica/Getty Images, p. 6; © Bloomberg/ Getty Images, p. 7; The Art Archive/National Anthropological Museum Mexico/Gianni Daglli Orti, pp. 10-11; © Jamie Grill/Iconica/Getty Images, p. 11; Museum of Natural Sciences Brussels, p. 12; © Bettmann/CORBIS, p. 13; © Andrew Esiebo/Africa Media Online/The Image Works, p. 14; The Art Archive/British Museum/Alfredo Dagli Orti, p. 16; © AISA/Everett Collection, pp. 17, 62; University of Minnesota/Special Collections/Rare Books, p. 20; © The Art Gallery Collection/Alamy, pp. 22, 60; © Premier/Alamy, p. 24; The Art Archive/British Museum, p. 26; © SSPL/Getty Images, p. 31; © Christine Osborne Pictures/Alamy, p. 32; The Art Archive/Kharbine-Tapabor/Boistesselin, p. 33; © De Agostini Picture Library/Getty Images, p. 35; © Robert Harding Picture Library/Alamy, p. 36; © ephotocorp/ Alamy, p. 37; © Universal Images Group Limited/Alamy, p. 38; © Luca Tettoni/The Bridgeman Art Library, p. 40; © Art Resource, NY, p. 42; Smith Chinese Collection, Rare Book and Manuscript Library, Columbia University, p. 44; © Lebrecht Music and Arts Photo Library/Alamy, p. 46; © Oriental Museum, Durham University, UK/The Bridgeman Art Library, p. 47; © SSPL/Science Museum/Art Resource, NY, p. 49; © Temistocle Lucarelli/Dreamstime.com, p. 50; Private Collection/The Bridgeman Art Library, p. 51; © Peter Horree/Alamy, p. 52; © Werner Forman/Art Resource, NY, p. 54; © SuperStock/SuperStock, pp. 56, 79; The Granger Collection, New York, pp. 57, 71; © Georgios Alexandris/ Alamy, p. 58; © David Parker/Alamy, p. 59; The Art Archive/Vatican Museum Rome, p. 63; Biblioteca Ambrosiana, Milan, Italy/The Bridgeman Art Library, p. 65; Ancient Art and Architecture Collection Ltd./The Bridgeman Art Library, p. 67; © Vanni/Art Resource, NY, pp. 68, 74; © Ancient Art & Architecture Collection Ltd./Alamy, p. 69; © LOUISA GOULIAMAKI/AFP/Getty Images, p. 70; The Art Archive/Bibliothèque des Arts Décoratifs Paris/Gianni Dagli Orti, p. 72; © Lautaro/Alamy, p. 75; © Robert Harding Picture Library/SuperStock, p. 76; © AAAC/Topham/The Image Works, p. 77; © Ellen B. Senisi/The Image Works, p. 80; © SSPL/The Image Works, pp. 82, 83; © Time & Life Pictures/Getty Images, p. 84; © Frances Roberts/Alamy, p. 85; Front cover: © SSPL /The Image Works (top); © Mesopotamian/The Bridgeman Art Library/Getty Images (bottom left); © DEA PICTURE LIBRARY/De Agostini Picture Library/Getty Images (bottom right). • ANCIENT CULTURES MEASURED TIME ACCURATELY WITH WATER CLOCKS? • AN ENGINEER IN THE FIRST CENTURY B.C. DESIGNED AN ODOMETER TO CALCULATE DISTANCE TRAVELED? • PEOPLE COMPUTED THE FIRST VALUES OF PI ABOUT FOUR THOUSAND YEARS AGO? omputing technolo technology is as old as human society itself. The first humans on Earth used basi basic computing skills. They counted by carving tally marks in bone. They used body parts and basic tools to measure. Over the centuries, ancient peoples learned more about computing. People in the ancient Middle East used scales to measure goods for trading. The ancient Egyptians wrote textbooks including multiplication and division problems. The ancient Chinese developed an abacus for speedy calculations. Ancient Greeks made advances in geometry. What kinds of tools and techniques did ancient mathematicians use? Which of their inventions and discoveries have stood the test of time? And how did the ancients set the stage for our own modern computing? Learn more in Ancient Computing Technology. Report "Ancient Computing Technology: From Abacuses to Water Clocks (Technology in Ancient Cultures)"